Imagine you're at the lunch table and a friend claims, "Kevin Durant is the best basketball player in the world right now." If you agree, you probably accept what your friend says and every piece of evidence used to support the claim. If someone else says, "Actually, LeBron James is the best basketball player in the world right now," you probably reject the opinion and won't listen to reasons that support it. Each scenario shows a different form of bias. The first scenario demonstrates confirmation bias—seeking out and automatically accepting information that confirms an existing belief we have. The second scenario shows disconfirmation bias—avoiding or discounting information that contradicts our existing beliefs. Each type of bias affects the way we interact with information. When a story affirms our beliefs, we tend to accept it even if it's objectively false. When a story contradicts our beliefs, we tend to dismiss it, even if it's factual. We need to be aware of our own biases when we read news, especially stories that make us feel overly emotional—for or against the subject. Your Turn Check an online news site such as Google News, read the headlines, and choose a story you hope is not true. Read the story. Then answer the questions. What evidence from the story most strongly contradicts my beliefs? What is the best argument I could make against my original position? Where could I find other information that contradicts my initial opinion? What opposing person could I talk to about this issue? 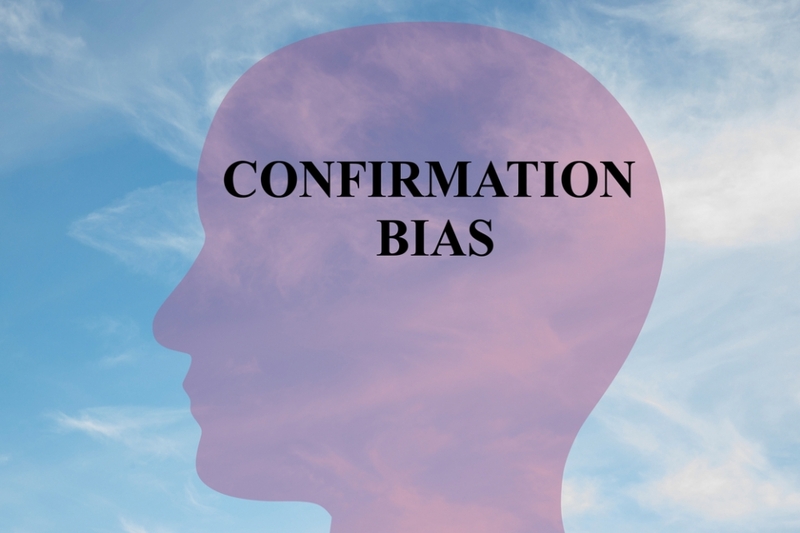 Guarding Against Confirmation Bias by Thoughtful Learning is licensed under a Creative Commons Attribution-NonCommercial-ShareAlike 4.0 International License. Based on a work at k12.thoughtfullearning.com/minilesson/guarding-against-confirmation-bias. From the blog post "Lessons for Combatting Fake News"